Happy Dutch and German Shufflers. Dutch President is Grietje Nauta. She is the fourth person from the right of the picture. 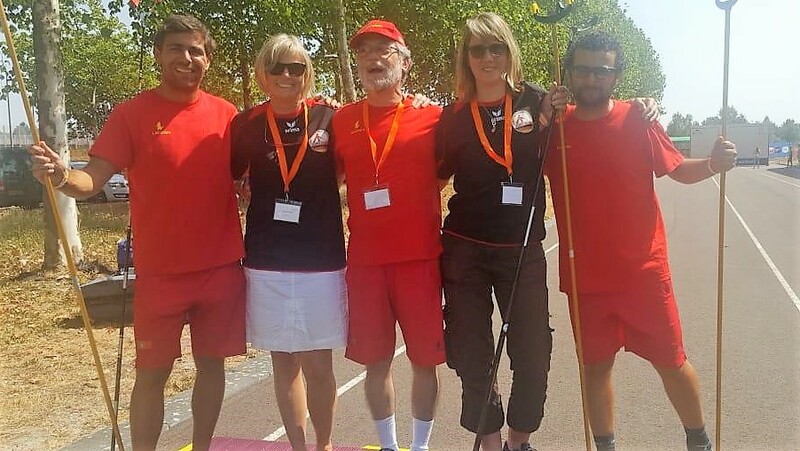 A group of our German friends with the leadership of German Shuffleboard President Dieter Hussmann met in Friesland to demonstrate shuffleboard this past week. They did an amazing job of promoting shuffleboard…..the game that we love to play. I’m happy to announce that the Netherlands have formed the Netherlands Shuffleboard Association. Dieter and our new Netherlands friends talking with me on whatsapp. They all heard how excited I was to get this great news….Congratulations. Myrna. Wonderful news. Thank you Dieter and our German friends for your promotion of shuffleboard.